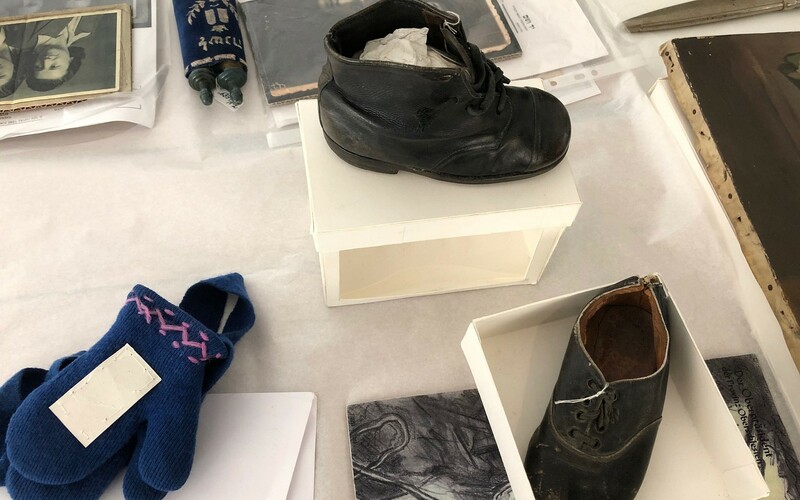 During a behind-the-scenes tour of Yad Vashem’s new curatorial center this winter, the Israel Holocaust museum’s Sarah Shor held up a petite child’s shoe and pointed to a pair of knitted gloves. 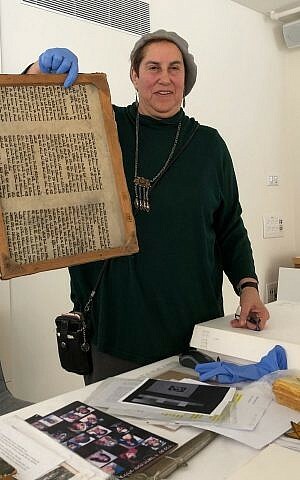 Shor told the group of Jewish journalists seated in the glass-walled room that they had once belonged to two-year-old Hinda Cohen, who was born to Tzipporah and Dov Cohen in the Kovno Ghetto in Lithuania on January 18, 1942. 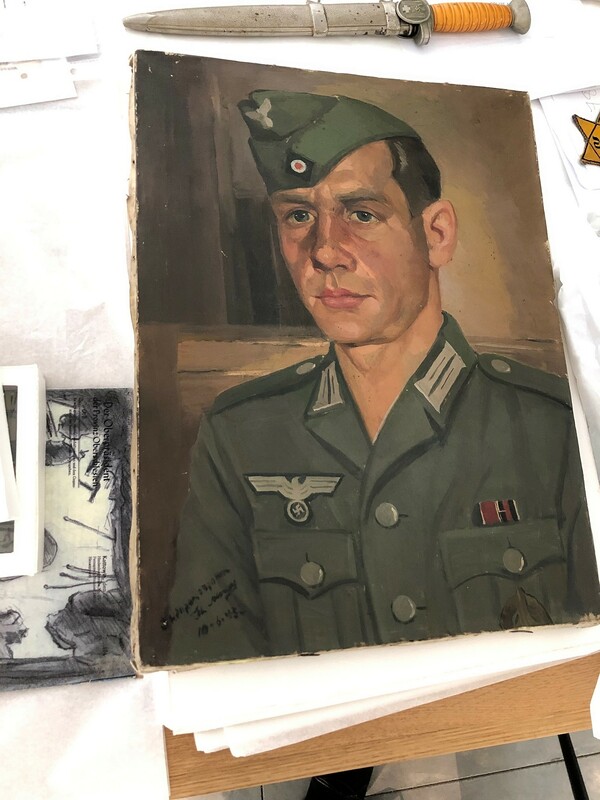 The table was littered with dozens of artifacts, from a portrait of a Nazi soldier painted on a Torah scroll to the striped pajamas of a camp intern. Every item had a story behind it, attesting to the life of the former owner. But there are few things more chilling than seeing the physical remnants of a life cut too short: blue gloves with a purple design worked in by the hands of a loving mother, and well-polished minuscule shoes. Shor turned the shoe over and showed the journalists the date etched on its sole: March 27, 1944. That morning, while her parents were slaving at the forced labor Aleksotas camp, the Nazi guards enacted a “Children’s Aktion” at the ghetto and took Hinda, along with all the children they could find. Father Dov etched the date into the shoe, found under her bed with scant few other items and vowed to keep it until his death, a promise he kept. Hinda and the children were taken to Auschwitz, where they were immediately murdered. Now, on Holocaust and Heroism Remembrance Day, the day commemorating the loss of six million Jews in the Holocaust, Israel’s Yad Vashem will break ground on a new state-of-the-art subterranean center to house and conserve millions of artifacts such as these. 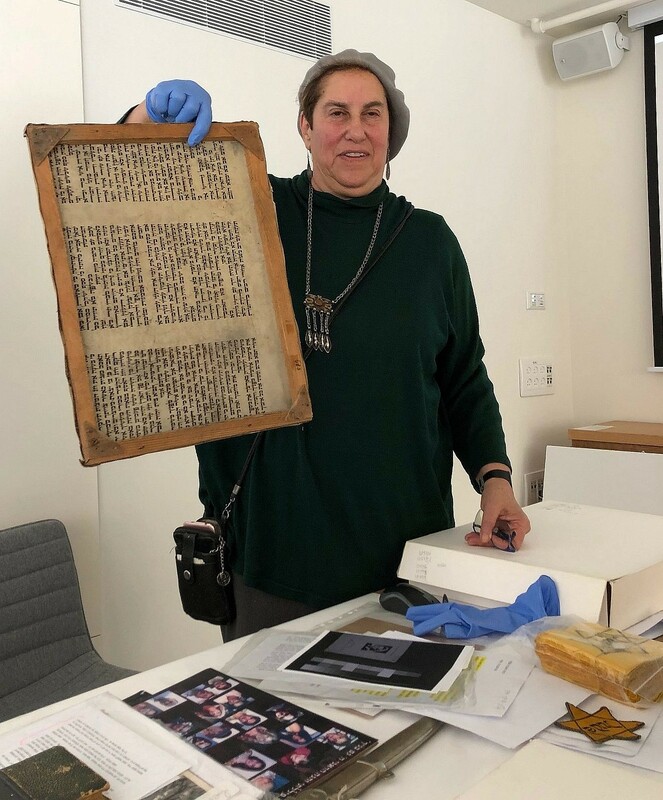 The more than 210 million documents, 500,000 photographs, 131,000 survivor testimonies, 32,400 artifacts and 11,500 works of art in Yad Vashem’s collections to date bear witness to the lives of those lost to the Nazis’ genocide, not only their deaths. 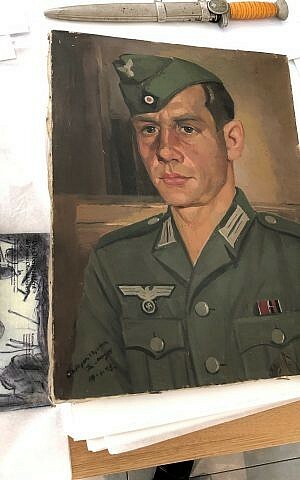 “The German Nazis were determined not only to annihilate the Jewish people, but also to obliterate their identity, memory, culture and heritage,” said Yad Vashem Chairman Avner Shalev in a press release. Yad Vashem, the World Holocaust Remembrance Center, was founded in 1953 and immediately began gathering such artifacts. Today, its storerooms are overflowing and conservationist Shor told the journalists that her team does not have the resources to properly treat items on site. This overflow is in part due to a wildly successful eight-year campaign, “Gathering the Fragments,” which urges the public to deposit Holocaust-related artifacts with the museum. The granddaughter of Tzipporah and Dov harkened the call and brought the etched shoe and pair of gloves to the museum as part of this campaign. Other benefits of the planned center include the ability to “streamline the process of receiving, preserving and cataloguing items collected by Yad Vashem, with the express goal of making them accessible to the public.” In addition to vast, climate-controlled storage spaces, the center will include hi-tech preservation laboratories, which will apparently be accessible in some way to visitors. According to a Yad Vashem spokesman, there are other upgrades planned for the Mount of Remembrance, including a renovation of its auditorium and a new gallery for families and children. The campus-wide construction and facelift is meant to be completed by the summer of 2021. According to Yad Vashem, funding has been secured already for much of the project. The institute is confident it will find the rest of the needed money. “The Holocaust is a very particular story with a deep universal meaning,” remarked Shalev to the group of journalists this winter. There are few symbols more universal than the little shoe that once belonged to Hinda Cohen.